Vitamin B12 is essential for the health of your body's cells. While vitamin B12's benefits could be considered subtle, it's so important that your nervous system won't function properly without it. Consuming too little vitamin B12 can result in side effects that range from gastrointestinal discomfort to serious neurological problems. Vitamin B12, also known as cobalamin, is an essential nutrient that is important for the health and maintenance of your cells. Your body needs it to make red blood cells, create DNA and maintain the functionality of your nervous system. According to a 2014 study in the journal Biomed Research International, vitamin B12 (along with other B-complex vitamins) can even help decrease the severity of migraines. Most people need just 2.4 micrograms of vitamin B12 each day to obtain its benefits. Vitamin B12 in foods and supplements are two different things. When you eat food with vitamin B12, your body needs to isolate it in order to take it up. This involves the hydrochloric acid in your stomach separating the vitamin from the food it's found in and combining it with intrinsic factor, a glycoprotein in your stomach. This process allows your body to absorb and use vitamin B12. Artificially produced vitamin B12 found in a vitamin B12 supplement doesn't need to be broken down the way the natural vitamin B12 does. However, this vitamin is poorly absorbed by the body in this state, so only about half of each microgram of synthetic vitamin B12 is absorbed by the body. This is why vitamin B12 dosage may be higher. Certain people are more likely to be vitamin B12 deficient than others. Vegans, vegetarians, people over age 50, people with certain health conditions and pregnant women should consider taking vitamin B12 supplements. Vitamin B12 is most commonly found in animal products. This means that people who don't eat animal products tend to be more likely to experience vitamin B12 deficiency. People who are strict vegans are the most likely group at risk of a vitamin B12 deficiency. If you're vegan or vegetarian and don't consume plant-based sources of vitamin B12 or fortified foods, you should consider supplements. Some people don't produce enough intrinsic factor, which makes it difficult for their bodies to absorb enough vitamin B12 from food. This happens regardless of whether or not they're eating foods rich in this nutrient. Without the intrinsic factor, your body may only be able to absorb about 1 percent of a vitamin B12 supplement. This means that people lacking the intrinsic factor may need a high vitamin B12 dosage to avoid vitamin B12 deficiency and its side effects. Vitamin B12 is commonly found in most animal products. Foods like shellfish, fish, meat, milk products and eggs are all well-known sources of vitamin B12. Many of these products can provide you with far more than the recommended daily allowance (2.4 micrograms) of vitamin B12. For instance, a single 3-ounce serving of clams has 84.1 micrograms of vitamin B12, while a serving of beef liver has 70.7 micrograms of this nutrient. Although vitamin B12 is easily found in animal products, you can also obtain it from certain vegetables and other foods. Mushrooms, like black trumpet, golden chanterelle and shiitake mushrooms, contain vitamin B12. 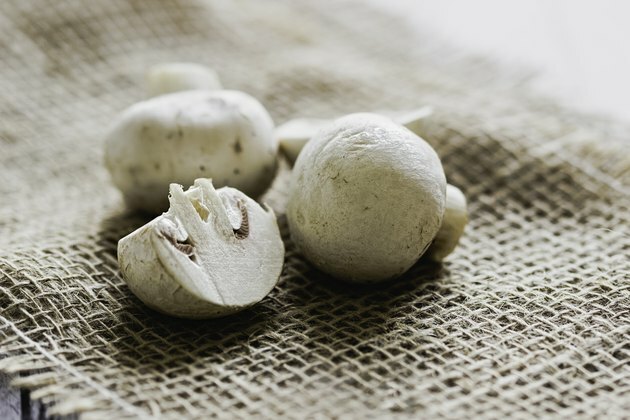 Every 100 grams of mushrooms may supply from 1.09 to 5.61 micrograms of vitamin B12. Vitamin B12 can also be obtained from sea vegetables. Many different types of algae, as well as sea plants, like sea buckthorn berries, sidea couch grass and elecampane, all have this vitamin and often in substantial amounts. While certain sea plants have no vitamin B12, many have about 11 to 37 micrograms per 100 grams of the food. Certain types of algae can have even more vitamin B12, with about 77 micrograms per 100 grams on average, and as much as 415 micrograms per 100 grams in specific varieties. Since vitamin B12 is an essential nutrient that is most commonly found in animal products, many plant-based products are fortified with this vitamin in order to make it more accessible to everyone. Vitamin B12 can easily be obtained from a variety of cereals, grains and even yeast. Many breakfast products you're probably familiar with, like Cheerios, Raisin Bran, Corn Flakes and Honey Bunches of Oats, contain this essential nutrient. It's possible to obtain all of your recommended daily allowance of vitamin B12 from cereals like these. In fact, there is even some concern that certain products are excessively fortified. Fermented foods can also provide vitamin B12. A 2014 study and a 2016 study in the journal Nutrients showed that vitamin B12 content can increase in fermented foods through the use of lactic acid or propionic bacteria. This means that foods like tempeh, sauerkraut and kimchi can all contain vitamin B12. The amount of vitamin B12 in these products can range between 0.7 and 10 micrograms per hundred grams of food. The way your vegetables are grown can also influence their vitamin B12 content. Organic fertilizers and hydroponic techniques are both able to help increase levels of vitamin B12 in produce. However, such methods can really only help supplement your diet with this nutrient. They're not yet able to provide you with the complete recommended dietary amounts of this vitamin. Anyone who doesn't eat enough foods containing vitamin B12 and thus could be B12 deficient should consider taking supplements. A 2018 study in the Cochrane Database of Systematic Reviews showed that both oral and injectable vitamin B12 supplements can resolve even serious deficiency-related side effects. Although the normal vitamin B12 dosage is just 2.4 micrograms per day, vitamin B12 supplements may be sold in pills containing thousands of micrograms. Although this might seem excessive, large amounts of vitamin B12 supplements have been clinically recommended for many years. Such large amounts are particularly necessary for people who lack intrinsic factor, and you should also keep in mind that only a small amount of synthetic vitamin B12 is taken up by your body. Since vitamin B12 is a water-soluble vitamin, this nutrient is excreted whenever you urinate. Whether you're consuming this vitamin naturally from foods or in the form of supplements, any excess will usually be removed from your body. In fact, your body will struggle to take up this nutrient after a certain point as you only have so much intrinsic factor. This means that even if you take too much vitamin B12, any side effects will be limited and will likely go away as soon as you stop supplementation. Cochrane Database of Systematic Reviews: Oral Vitamin B12 Versus Intramuscular Vitamin B12 for Vitamin B12 Deficiency. What Vegetables or Grains Contain B12?